President Trump has touted the tax cut currently being shaped by his administration and Congress as the biggest in American history, but just how big it could be is — and will be — the subject of some heated debate. Now we have a number: Members of the Senate Budget Committee have reportedly struck a tentative deal for the budget resolution to allow about $1.5 trillion in tax cuts over the next decade. 1. It would add to the deficit — though just how much will be the subject of some debate and plenty of accounting games. Some Republicans, for example, argue that the increase in the deficit will be about half as big as the $1.5 trillion tax cut, once you factor in the resulting boost to economic growth and account for some tax cuts that would have likely been extended anyway. But it’s increasingly clear that Republicans have largely jettisoned the idea of fully paying for their tax plan in favor of getting as large a tax cut as they can. 2. It would mean some tax cuts will likely only be temporary. For Republicans to be able to push ahead without Democratic votes, their plan can’t increase the deficit after 10 years. The budget blueprint may not meet that requirement without having some of the provisions sunset. Some Republicans have argued that the 10-year budget window could be extended to keep the tax cuts in place for longer. 3. It would likely mean Republicans still can’t get tax rates quite as low as they want. The 15 percent corporate rate President Trump wants, for example, would cost $2.4 trillion over a decade. And an analysis earlier this year of a plan consistent with President Trump's April outline found that revenue could fall be as much as $7.8 trillion over a decade. 4. It would help Republicans shrug off some — but not all — hard choices. 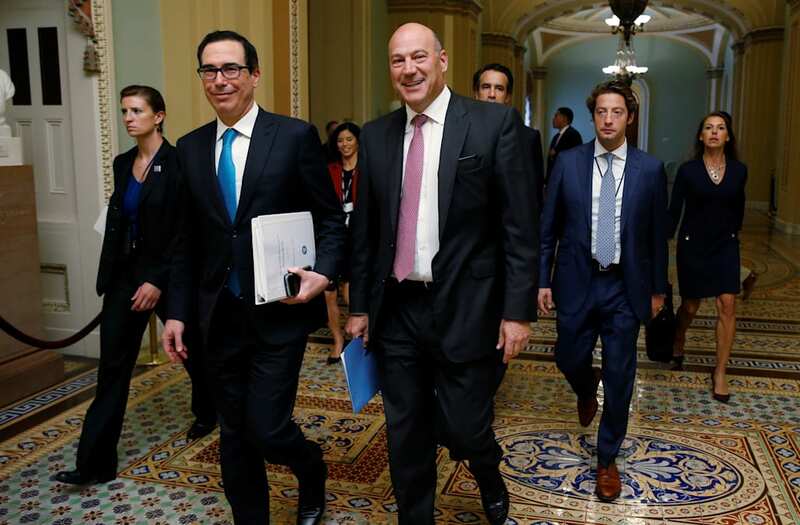 “Calling for a tax cut in the budget would let Republicans lower tax rates while making fewer tough decisions on what tax breaks to eliminate to help pay for the cuts,” the Journal’s Richard Rubin and Siobhan Hughes write. Even so, the rate reductions in the plan could reduce federal revenue by significantly more than $2 trillion, meaning they’d have to close the gap by eliminating some loopholes and tax breaks.